I recently received the Forward Controls Design EMR and EMR-C and have had a chance to briefly use each model. 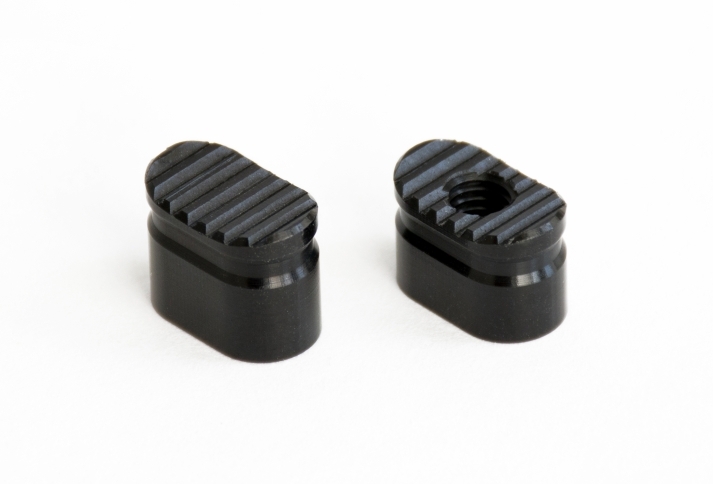 Both of these are drop in replacements for your standard AR-15 magazine release button. They are made from 7075-T3 aluminum bar stock, and then Type III hard coat anodized. 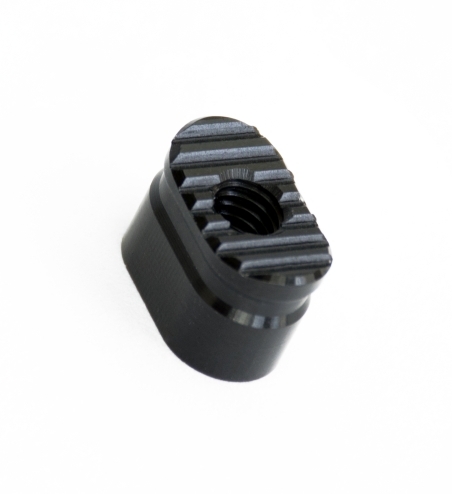 The results are a nicely machined product with a uniform finish. The EMR (at right) features a slightly curved surface with deep horizontal serrations. The curved surface helps index your finger on the center of the magazine release button. 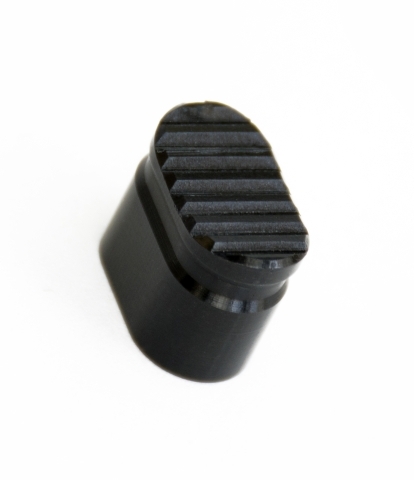 The serrations are deeper and more pronounced than a standard AR-15 magazine release button, which help ensure your finger does slip off of the button. These two features can aid in magazine changes in stressful or low light conditions. The EMR has a through hole like a standard AR-15 magazine release button, and is only .02” taller. 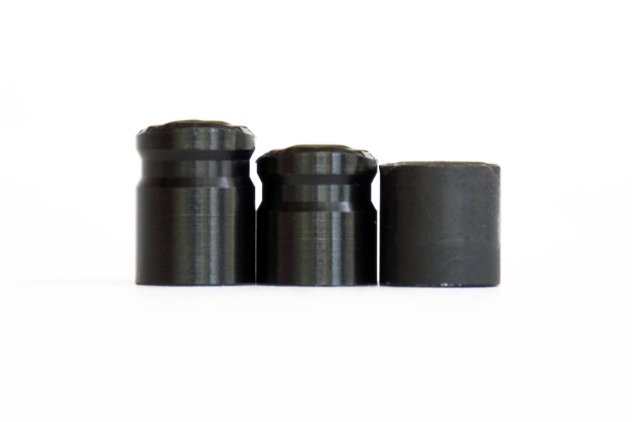 These are not intended to be lightweight replacement parts, but the EMR weighs the same as a standard AR-15 magazine release button at approximately .054oz. This is accomplished by the shallow band cut directly underneath face of the button. The EMR-C (at left) features the same curvature and deep serrations of the EMR, but has an uninterrupted surface area. 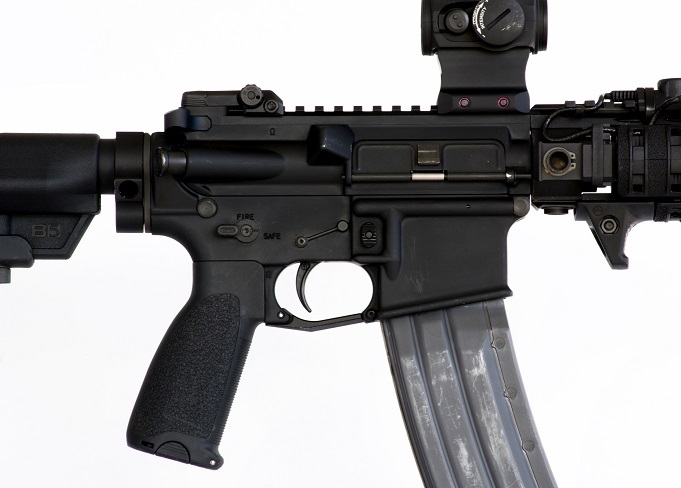 Due to this, the EMR-C utilizes a blind hole, and is roughly .04” taller than a standard AR-15 magazine release button. It also weighs in at .066oz, which makes it slightly heavier than the EMR. 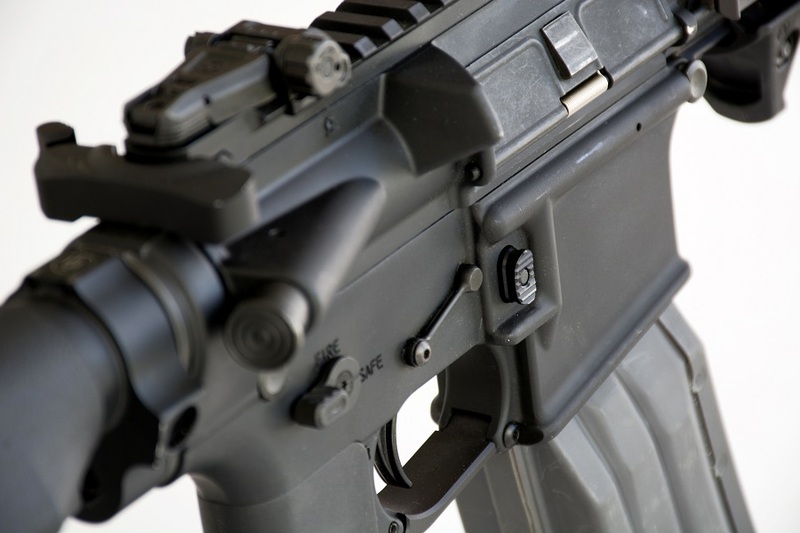 The EMR-C will protrude approximately .08” above most forged AR-15 receivers’ magazine button fencing. 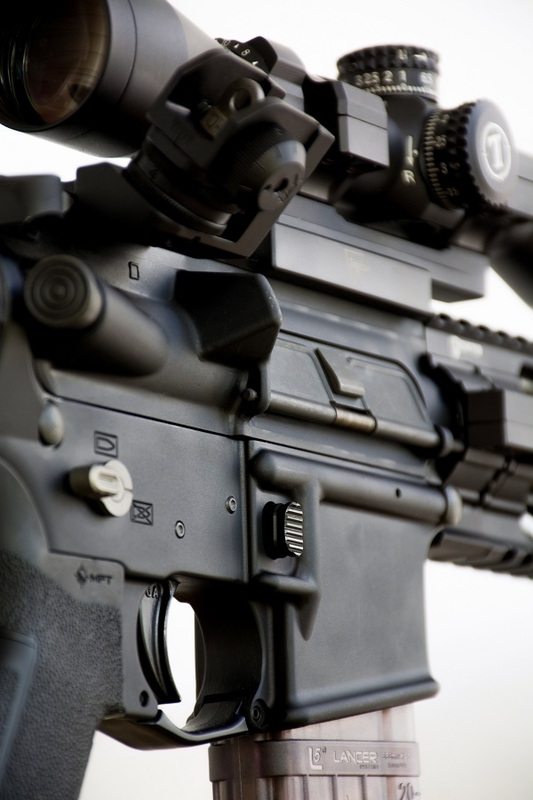 In my opinion, the EMR and EMR-C are great, cost-effective upgrades to the AR-15 platform. I found that the curvature does help index your finger, and the serrations keep your finger in place better. This can be easily tested with or without gloves by running your finger down each magazine button. I personally prefer the EMR as it is closer in height to the standard AR-15 magazine release button. 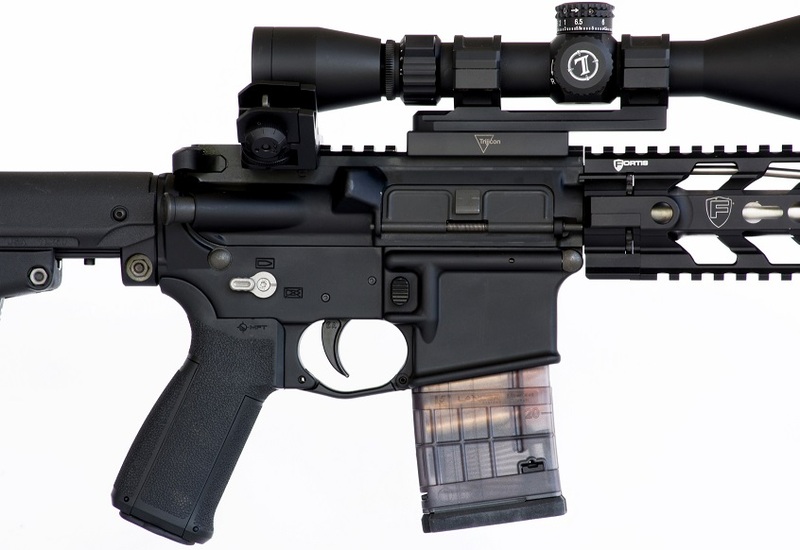 The EMR-C will likely be preferred by those who use their rifle in competitive shooting matches. The extended height of the EMR-C does make it easier to manipulate, but it’s not something I would want on a rifle I might carry through the woods. The Forward Controls Design EMR and EMR-C are shipping and should be in stock now at any of their distributors or dealers. Please visit www.forwardcontrolsdesign.com for more information. Special thanks to FCD for sending the author a couple of these to T&E for this article!